The world of car modifications can be a confusing one at the best of times. Amongst the dodgy exhaust upgrades and insurance pitfalls, new and old terminology can catch even the most seasoned modifier out. That’s why, as modified car insurance specialists, we’ve decided to put together this glossary of car modification terms. So, whether you’re a modification novice or have been fitting custom blowers since before Koenigsegg were born take a read through, you might even learn something. A type of suspension system that replaces conventional springs with an air based, fully adjustable system. Wheels that are made from an alloy of aluminium. An electronic device for increasing the amplitude of electrical signals, used chiefly in sound reproduction which includes vehicle sound systems. An attempt to inhibit reversion. E.g. an attempt to restrict the flow of exhaust gasses back into the combustion cylinder. Any vehicle that has been completely disassembled, or needs to be disassembled, for restoration or modification purposes. The line running around a car’s body formed by the bottom edges of the side windows. Used to refer to a supercharger. The term has become interchangeable with the term “supercharger” but refers specifically to positive-displacement superchargers. A collection of exterior modifications to a car, typically composed of front and rear bumpers, side skirts, spoilers, and sometimes front and rear side guards and roof scoops. An upraised component on the hood of a car that either allows a flow of air to directly enter the engine compartment, or appears to do so. It has only one opening and is closed on all other sides. The process of boring out engine cylinders to increase displacement and, therefore, power. A block of friction producing material that presses against a vehicles brake disc to enable the wheel to stop. A special seat with a rounded, bucket like back to fit one person. The part of a disc-brake assembly that presses the brake pads against the disc. These can be upgraded to improve braking performance. The degree of inward or outward tilt from the wheel centre line when viewed from the front of the vehicle. An outward tilt produces positive camber where tops of the tires are further apart than the bottoms. An inward tilt produces negative camber where the tops of the tires are closer together than the bottoms. In internal combustion engines a camshaft is used to control the opening and closing of cylinder’s valves. A material consisting of thin, strong crystalline filaments of carbon, used to create lightweight parts for cars, ranging from bonnets to centre consoles. The angle between the vertical line through the wheel when viewed from the side and the line from the centre of the wheel to the upper connecting point on the vehicle. The caster causes the front wheels to straighten out after a corner. A hard-top car that has had its roof lowered. A vehicle that has had its roof removed. Short for ‘coil spring over shock,’ suspension that has a coil spring sitting over the shock strut. The ratio of the volume of the combustion chamber with the piston at top dead centre (TDC) to the volume of the combustion chamber and the cylinder with the piston at bottom dead centre (BDC). Higher compression ratios tend to increase engine efficiency and performance but also increase the possibility of detonation/pinking. The process of removing manufacturer badges from a vehicle. The process of removing some or all, with removing all making your car un-road legal, catalytic converters from an exhaust system to increase air flow and performance. A design prepared on special material for durable transfer on to another surface such as glass, porcelain or in this case vehicle bodywork. The process of removing all locks from the exterior of a car. The spontaneous combustion of the air/fuel mixture ahead of the flame front that can and will cause serious engine damage if left unchecked. Also referred to as knocking, pinging or pinking. A shaped section of a vehicle’s underbody that improves the car’s aerodynamics by improving the transition between high-velocity airflow under the vehicle and the slower freestream ambient airflow. A vehicle used to provide parts. The process of intentionally making a vehicle slide or drift laterally by making the rear slip angle greater than the front slip angle. A car that has been lowered. A pressure release system present in most turbocharged engines. Its purpose is to prevent compressor surge, reduce wear on the turbocharger and engine and reduce turbo lag. An electronic control unit that controls all electrical components on an internal combustion engine to ensure optimal performance. The part of a vehicles exhaust system that collects exhaust gases from multiple cylinders into one pipe. Kits that can be fitted to an exhaust to ignite escaping fuel. Exhausts that shoot flames by igniting unburnt fuel. The process of using a mechanical device to increase the amount of air, and consequently fuel, consumed by the engine. This also increases the volumetric efficiency of the engine and can be accomplished by using an air pump, such as a supercharger or a turbocharger. Pistons that are created by forging, making them far stronger, lighter and more efficient than stock pistons. They are used to improve engine performance. A more secure and supportive alternative to seatbelts. A performance enhanced exhaust manifold that results in increased horsepower/torque and also emissions and noise. A car, usually in a 1930’s to 50’s American style, that has been modified to give it extra power and speed. A term more often used in America. Flames painted on the side of a car. An acronym of ‘in car entertainment’. This can cover audio upgrades such as a stereo or subwoofer but also includes centre console screens and even DVD players. An air filtration system that increases air flow, and therefore performance, and prevents contaminants entering the engine. Custom kits can be installed to induce ‘induction roar’. The part of an engine that supplies a fuel/air mixture to the cylinders. An engine sensor that is installed to monitor both engine performance and also potentially destructive engine knock. Suspension springs that allow for a lower and more aggressive vehicle stance. A shortening of the word modifications which cover any alterations made to a stock vehicle. A term used to describe the process of distastefully modifying a vehicle stemming from Max Power magazine. Hitting a vehicle’s top speed. Refers to wheel offset where the mounting face of the wheel hub is between the centre line through the width wheel and the rear end of the wheel. A glass bulb or tube containing neon at low pressure that gives a coloured glow when a voltage is applied. An acronym for the brand name ‘Nitrous Oxide Systems’. NOS produces a chemical known as nitrous oxide, often used in the performance optimization of car and motorcycle engines. The chemical (N2O) breaks up upon contact with air, releasing extra oxygen into the engine. This often means that oxygen detectors in modern cars pick up the extra oxygen and add more fuel to the air fuel (a/f) mixture. This means the engine will pack a harder punch than it typically would, in the form of an instant flywheel horsepower gain. Similar results can be achieved using water or meth injection. The process of using oil as a coolant to remove surplus heat from an internal combustion engine. A phenomenon that occurs when the rear wheels of a car do not track trajectory of the front wheels during cornering but instead slide out toward the outside of the turn. This results in a tighter turn than was intended and can also result in a spin. When an engine goes over a set boost limit. This can lead to over compression and can damage the engine through too much boost. Alternatively it can run lean and cause over heating or detonation. Suspension bushes manufactured from polyurethane that provide more responsive steering, better road handling and can also increase tyre life. A small, compact performance-oriented vehicle. The process of porting and polishing the intake and exhaust ports of an internal combustion engine to improve air flow and therefore performance. The process of modifying the intake and exhaust ports of an internal combustion engine to improve the quality and quantity of the air flow and, as a result, performance. Superchargers that consist of two lobe rotors or two screws inside a housing and work by pumping air into the engine at a faster rate than the engine would normally ingest. These superchargers pump air at a fixed rate in relation to engine speed and supercharger size and therefore do not cause over boost. Refers to wheel offset where the mounting face of the wheel hub is between the centre line through the width wheel and the front end of the wheel. Slang for an internal combustion engine. A secondary energy storage device for electrical power that are used to prevent energy demand spikes from power hungry car audio components. A specialised gear stick that allows the driver to reduce time spent shifting between gears. Another term used to describe vehicle alloys. Someone that heavily and unnecessarily modifies their vehicle to the point of it looking ridiculous. A design in which a vehicle’s front end has been lowered more than the back. A style of vehicle modification that purposefully recreates an unfinished, rough look. When a vehicle’s ECU is re-programmed to change how it controls different variables that affect vehicle performance. The process of bending a vehicles wheel arches up in on themselves to provide more space. A part of a vehicle’s suspension that helps reduce body roll during fast cornering or over road irregularities. When a car’s suspension is lowered significantly enough for the bodywork to barely clear the ground below it. A vehicle that is faster than it looks. An automotive aerodynamic device whose intended design function is to ‘spoil’ unfavourable air movement across a body of a vehicle in motion, usually described as turbulence or drag. Bright, circular lights that can be fitted to vehicles in addition to stock lights. A vehicle that has had all unnecessary parts removed from it to reduce weight and, as a result, improve performance. An engine which has been modified with a longer piston stroke increasing the displacement. A sticker/transfer that can be applied to the top of a vehicle’s windscreen. A mechanical forced induction device that is usually driven by a belt off the crankshaft. It is also referred to as a blower and is used to increase the volumetric efficiency and power output of a vehicle’s engine by pumping air into the engine at a faster rate than it would normally be ingested. This results in an increase in performance but a reduction in fuel economy. A loudspeaker component designed to reproduce very low bass frequencies. The process of colouring in manufacturer names on tyres. The process of stretching a tyre to fit a much wider rim than it was intended for. This creates a look that is growing in popularity but also has safety issues associated with it. A mechanical forced induction device that consists of a compressor-wheel and interconnected a turbine-wheel and is driven by the exhaust gasses of the engine. It is used to force compressed air into the engine, increasing its volumetric efficiency and power output. An electronic device designed to keep the engine running for a pre-specified period of time in order to allow the turbo to cool-down and to prevent oil cooking in the bearing chamber. A special type of loudspeaker that is used to produce high frequency sounds around the 2,000 to 20,000 Hz range. The name comes from the high pitched sounds made by birds. The part of a car’s suspension that is not supported by the suspension springs, includes the brake system,the wheel and tires and other components directly connected to them. A phenomenon that occurs when the front wheels of a car do not have the required level of grip to follow the trajectory of a turn and tend to slide out toward the outside of the turn, resulting in a wider turning circle than was intended. Two lines that run parallel from the front bonnet to the boot of a vehicle that are often different colours from the main bodywork. A vehicle upgrade that helps direct air flow over the rear of a vehicle to improve down forces and vehicle stability at high speeds. Small neon lights that attach to the washer jets of a vehicle. The distance between the centrelines of the front and the rear axles of a car. The distance between the mounting face of the wheel hub and the centre line through the width wheel. This can be negative if the mounting face is closer to the back of the wheel or positive if the mounting face is closer to the front of the wheel. Items that can be fitted between vehicle wheels and hubs to give the impression of wider wheels and vehicle stance. A thin film/laminate that can be applied to vehicle windows to change their colour, often to make them darker. The process of wrapping a vehicle in vinyl, or a similar material, to change its colour or apply a specific design. Xenon H.I.D. (High Intensity Discharge) lighting is an improved lighting technology that replaces a filament bulb with xenon gas. When the xenon gas ignites it produces a clear and vivid light that is 3 times more powerful than a halogen bulb. The rotation around the vertical axis that passes through the centre of gravity of a car. The difference between a car’s longitudinal axis and its true direction of motion when negotiating a turn. Speakers favoured by people who want to improve their cars sound system. They are often fitted in vehicle parcel shelves. There you have it, our complete modification glossary. If you think we’ve left something off we’d love to hear from you. 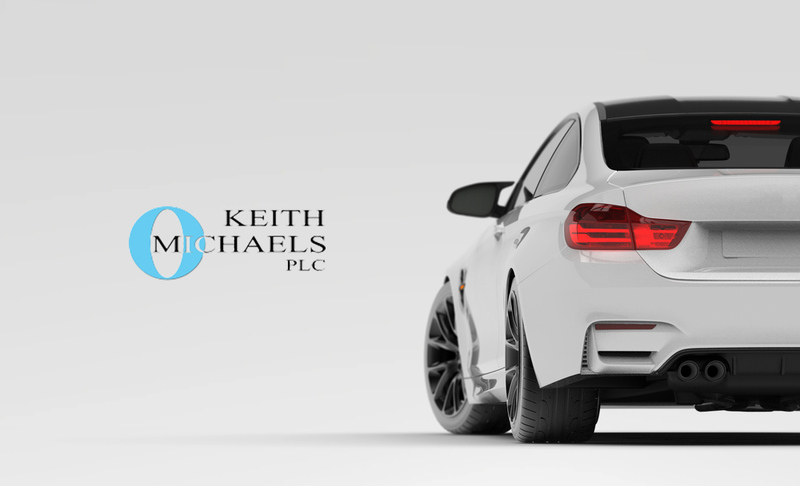 Either drop an email to adam@keithmichaels.co.uk or hop on over to our Facebook page and drop us a message.